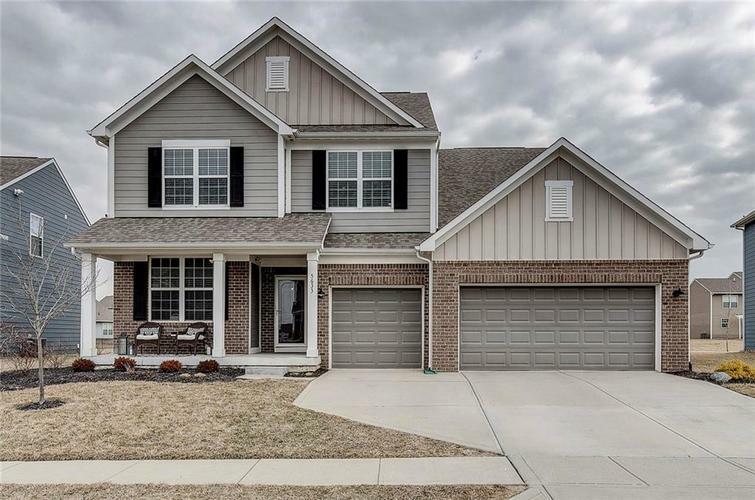 BEAUTIFUL, BETTER THAN NEW WESTCHESTER FLOOR PLAN IN POPULAR CLARK MEADOWS ON A PREMIUM LOT THAT BACKS UP TO COMMON SPACE! SPACIOUS INTERIOR, LOTS OF NATURAL LIGHT. GREAT ROOM W/ STONE FIREPLACE & WALL OF WINDOWS OPENS TO LARGE DINING & KITCHEN W/ STAGGERED CABINETS, GRANITE, SS APPLIANCES, HUGE WALK-IN PANTRY, HARDWOOD FLOORS. STUDY/OFFICE + PLANNING/HOMEWORK STATION, OVERSIZED MUDROOM! UPSTAIRS FEATURES 4 LARGE BEDROOMS, ALL WALK-IN CLOSETS + LOFT + CONVENIENT LAUNDRY RM. NICE MASTER SUITE W/ TRAY CEILING, DUAL SINKS, LARGE WALK-IN SHOWER. FULL UNFINISHED BASEMENT W/ 2 EGRESS WINDOWS, ROUGH-IN. AMAZING YARD W/ A NEW DECK, PERFECT FOR ENTERTAINING IN THE AFTERNOON SHADE. YOU WILL LOVE THE COMMON SPACE & OPENNESS OF THE YARD! 3 CAR GARAGE!